If there’s one thing Texas takes more seriously than its beef, it’s football. Texas not only has some of the best teams and fans in the nation, but it exceeds all expectations when it comes to tailgates. Go big or go home—that’s the mantra here. There are a few necessities that make or break a tailgate. A good location. Great company. And most importantly, outstanding food. 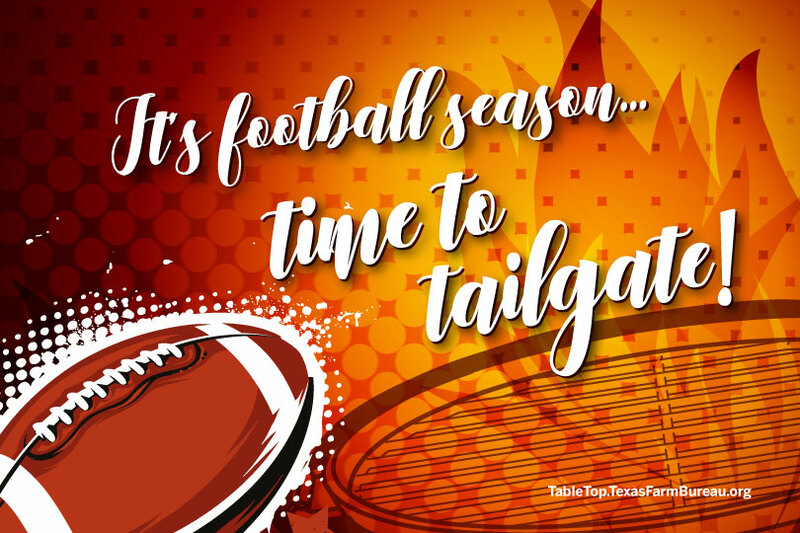 Check these three things off your list and you’re sure to have a true Texas tailgate experience. To make this year’s tailgate a little easier, we’ve compiled some of our easiest and most popular recipes that everyone is sure to love. You can’t lose the hostess game with serving a good ol’ fashioned Tailgate Sandwich. This easy-to-make sandwich is melted to perfection and packed full of flavor. It’s not a football game day without buffalo wings. That’s a fact. These Buffalo Bites are a classic entrée, but the recipe cuts out some calories without sacrificing flavor. Topped with sour cream and chopped green onion, these Potato Skins will be a favorite with your rowdy football fans. Serve ‘em warm or cold! Throw the pig skin around, make a plate of food, sit back and live for the weekend. Clear skies, full bellies. Can’t lose.